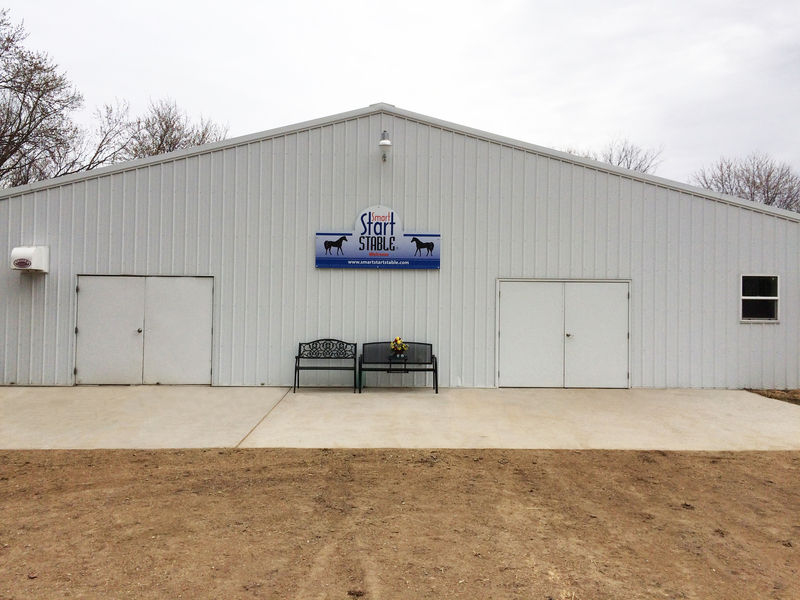 About | Smart Start Stable, Somerset Wisconsin, U.S.A.
Smart Start Stable is located in Somerset WI, just east of the Twin Cities metro area. Suzette specialize in training horses and their owners, putting a good foundation into them and working always on softness so they are ready to learn any discipline. She specializes in dressage but a horse with a good foundation can be trained for whatever discipline their conformation is built to do. 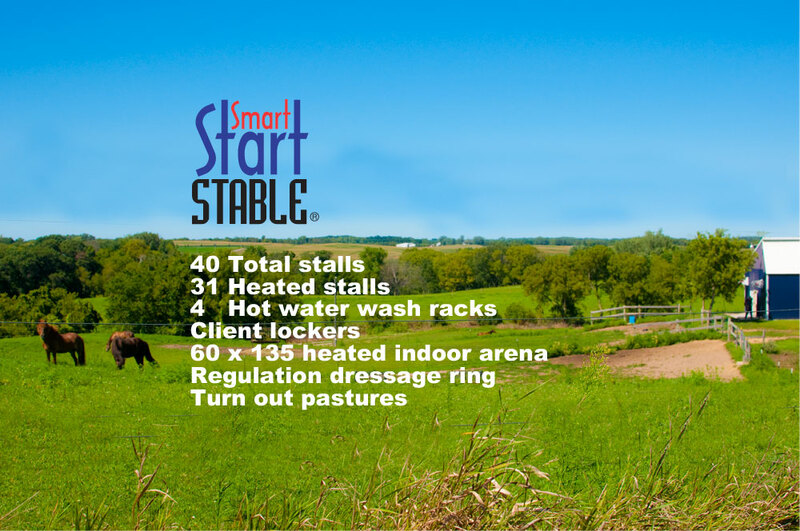 Smart Start Stable is just 30 miles east of Minneapolis/St Paul, MN on 229 ac of land. 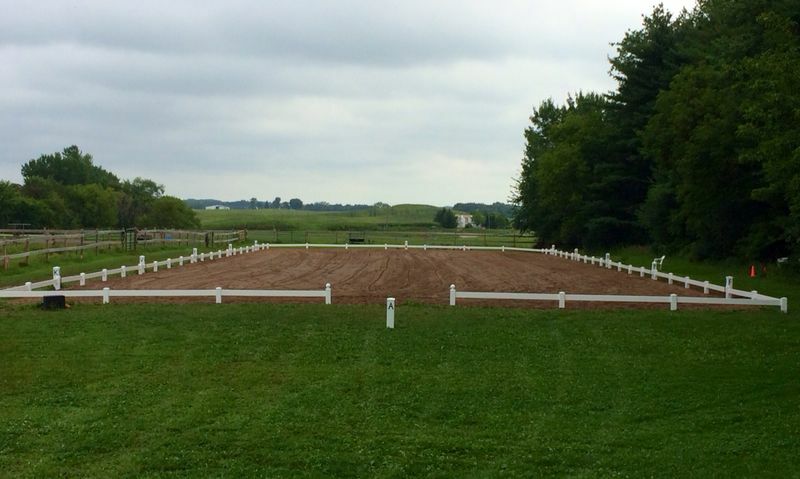 There are 40 stalls, 31 of which are in heated barns, a 60X135 heated indoor arena with sand and rubber footing and an overhead watering system, an outdoor sand dressage ring and wooded and open trails to ride. There are 4 hot water wash racks with lockers for each client. Horses are turned out in pastures with suitable pasture mates for the day with no more than 8 or 9 in the largest pasture of 8 acres, less in the smaller pastures. They are fed grass/alfalfa mix hay grown by Ed and Suzette. The grain consists of Equishine, a ration balancer made by Doctors Choice Supplements, and whole oats, also grown by Ed and Suzette. Breeds of any type are welcome. Training is based on teaching the horse from the horse’s point of view and teaching the riders/handlers how to use these techniques to become effective partners with their horse in whatever they choose to do with them. Suzette has worked with various breeds through the years. They range from Icelandics to Friesians, Arabs, Warmbloods, Morgans, Quarter horses, Thoroughbreds, Missouri Foxtrotter, Tennesse Walker, Halflinger and almost everything in between. There is no need for the horse to be a “fancy show horse”, only that it has an owner/rider/handler who wants what is best for the horse and wants to take the journey to become a better partner with his/her horse. Suzette has her USDF SILVER Medal and is presently showing successfully at Prix St George and on a purebred Arabian! One of the jobs as trainer is to help the horse understand it’s job so that it is easier for the rider/handler to get the horse to do it’s job for them. The training program is different for each horse/rider pair, Suzette works to devise a program that works best for each pair. There is no “cookie cut” training at Smart Start Stable. The training techniques used originated from “natural horsemanship” techniques and have evolved into teaching the horse in the way the horse understands it most clearly and become as soft and responsive as it can be. The exercises also build and strengthen the horse. Often horses that come to Smart Start have severe lameness or behavioral issues, usually a combination of both. Through the Smart Start program the horses become wonderful partners to work with and pain issues and behavioral issues are resolved. The three components to horse behavioral problems are physical, mental and emotional. They are nearly always tied together and Suzette feels that her way of training does a phenomenal job of working with the horse to unravel the problem and fix it. Please call or email Suzette if you have any questions regarding anything horse related. If you would like more detail about our training, check out the “Training Philosophies” on the website.